High Capacity Black Cartridge HP 301XL (CH563EE) lasts for approximately 450 pages. It is designed for the HP Deskjet 1050, HP Deskjet 1510, HP Deskjet 2050 and HP Deskjet 2050s. Black Ink Cartridge HP 301 was developed to provide user-friendly features at a low price. Get up to 2.5 times more black pages at a lower price thanks to high capacity black ink cartridge. The original high-capacity HP ink cartridges allow you to print more pages and exchanged as often as standard Original HP ink cartridges. For shipping to other EU countries visit this page HP CH563EE no. 301XL . Chcete doručit zboží do Česka? 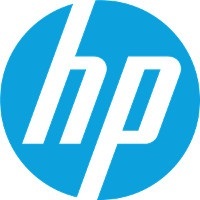 Prohlédněte si HP CH563EE č. 301XL černá. Chcete doručiť tovar na Slovensko? Prezrite si HP CH563EE č. 301XL. Für Versand nach Österreich, besuchen Sie bitte HP CH563EE Nr. 301XL. Magyarországra történő kiszállításért tekintse meg ezt a termékoldalt: HP 301XL (CH563EE).